Football Manager isn’t just the sim for PC users whose gaming education began and ended with Encarta. It’s the reliable biscuit base of male existence in the UK, where the game has spawned books, stand-up shows, and now a documentary. 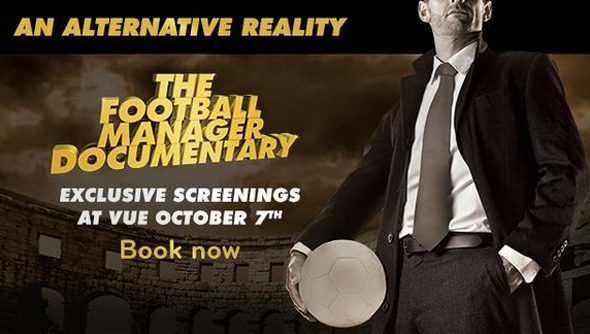 An Alternative Reality will be shown in 35 cinemas in the UK and Ireland tomorrow evening – and via 47 broadcasters across the world. The feature film’s London Piccadilly screening has officially sold out, and “many others” are close to full. Sports Interactive say only a “handful” of tickets remain. The screenings are exclusive to VUE, one of a handful of cinema chains in the UK and Ireland. Proximity to one of their screens is far from guaranteed – Scotland, Wales and Ireland make up just six of the 35 locations available – so you might want to make a note of the broadcasters also showing the film on Tuesday evening. Between them, Fox Sports and L’ÉQUIPE.FR have most of the world’s continents covered. Did somebody say Steam Movies? Only us, I’m afraid. But An Alternative Reality would make a perfect launch title for a dedicated film category on Valve’s service, wouldn’t it?